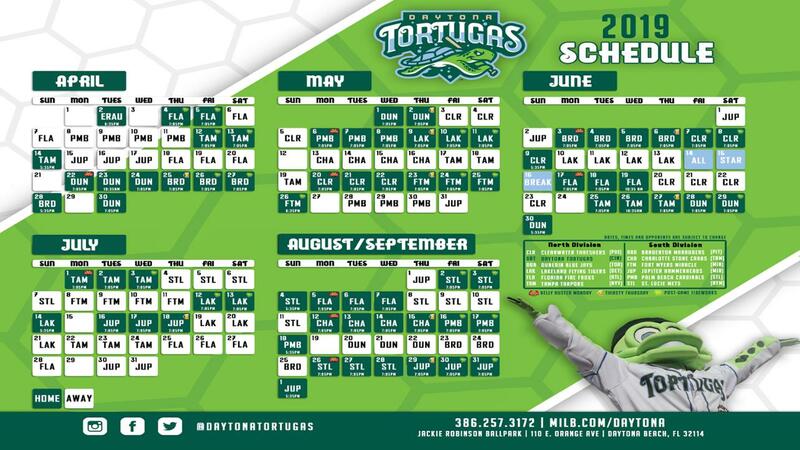 DAYTONA BEACH, FL - After the Tortugas took a 3-0 lead in the second Monday night, the Fort Myers Miracle scored eight times over the next three innings in route to their 8-5 Florida State League Championship clinching victory at Radiology Associates Field at Jackie Robinson Ballpark. Fort Myers defeated Daytona three games to one in the best-of-five series. With the bases loaded, Alfredo Rodriguez grounded into a fielder's choice to push across the games first run in the bottom of the second. One pitch later, Stuart Fairchild reached on a two-base throwing error from Royce Lewis, allowing two runs to score to run the Tortuga lead to 3-0. Fort Myers took the lead in the top of the third. Aaron Whitefield led off the inning with a single, then moved to second after LHP Scott Moss walked Royce Lewis on five pitches. After Moss recorded the first out, he surrendered back-to-back RBI singles to Jose Miranda and Travis Blankenhorn to cut the score to 3-2. Then with two away, Ryan Costello hit a three-run home run to right field to give the Miracle their first lead. After loading up the bases with no outs, Fort Myers extended their lead in the fifth. First, Caleb Hamilton drove in one when he grounded into a fielder's choice to run the lead to 6-2. Then with two-outs, Shane Carrier reached on a slow rolling single up the middle to score two, and extend the lead to 8-3. Ibandel Isabel rounded out the scoring at 8-5 with a 416 foot two-run home run to right center field, scoring Tyler Stephenson. RHP Edwar Colina (1-0) earned the win after allowing just two hits in 6 ⅔ innings with three unearned runs, four walks, and six strikeouts. Moss (0-1) took the loss, he allowed five runs on six hits with two walks and a strikeout. RHP Hector Lujan closed it out to earn the save. He allowed a hit in a scoreless ninth.